Do you want to know how to keep children safe online? 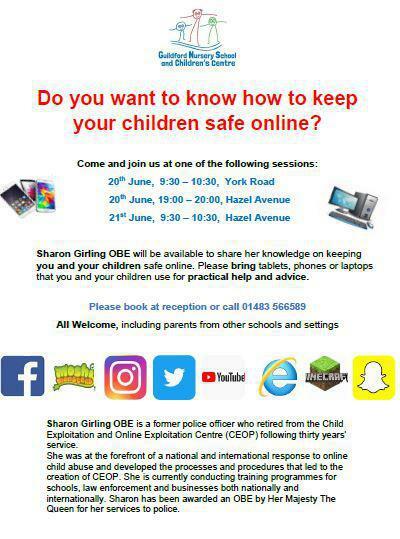 Join Guildford Children's Centre for one of their e-safety session run by Sharon Girling OBE. More information available here.